This has been an exciting week! We are so thrilled to introduce Abbey Sharp, one of our new content contributors! Abbey has partnered with LiberTerre in the past and we cannot wait to see what she whips up this time around! 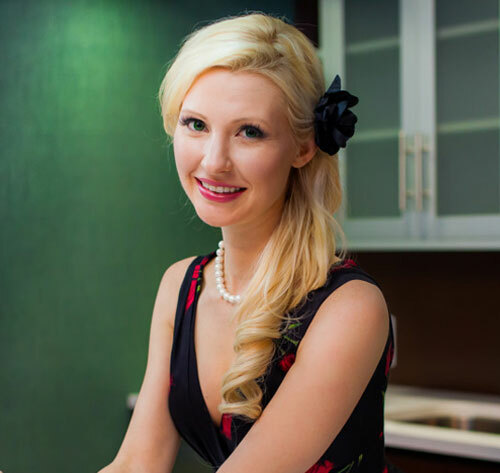 Abbey Sharp is a Registered Dietitian (RD), a TV and radio personality, food brand spokesperson, a food writer and blogger and the founder of Abbey’s Kitchen Inc. After obtaining her BASc. in Nutrition and Food, her Canadian dietetic accreditation and culinary training through George Brown College, Abbey began graduate school studying the Sociology of Food. Abbey has built a strong brand based on her core philosophy that a pleasurable relationship with food, your body and your self is the fundamental secret to good health. She has infused this outlook into Abbey’s Kitchen Inc., a multi-faceted food and nutrition media outlet developed with the goal of celebrating the pleasurable eating experience. From delicious healthy recipes, fun foodie webisodes, and cheeky nutrition advice, the Abbey’s Kitchen blog has become a popular space for garnering buzz about good for you food. In January of 2015, Abbey relaunched her popular YouTube channel, working with some of her favourite brands to create healthy delicious recipes, nutrition tips and fun food videos. She is now signed on as an official partner of the wildly successful Multi-Channel-Network (MCN), Tastemade. Abbey contributes regularly to Best Health Magazine, On the Go Magazine, and The McEwan Group, as well as dozens of other publications. Abbey is a regular on The Marilyn Denis Show and has made guest appearances on The Shopping Channel, CP24, CHCH Morning Live, Global Morning Show, Eat St., You Gotta Eat Here, TEDx – and many others! We are so happy to work together Abbey!